Click here to take survey to help me decide whether to create a new release of MceFM. 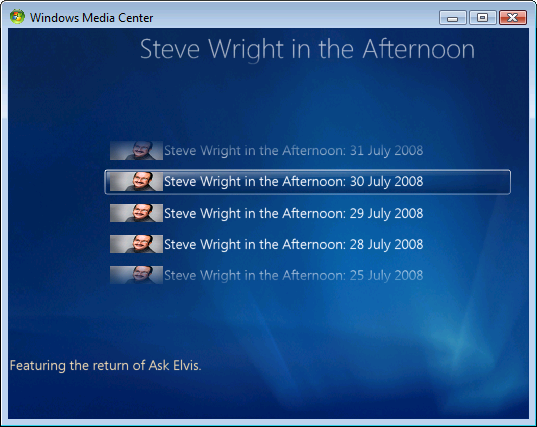 A couple of years ago I created a Windows Media Center addin called MceFM which let you listen to Last.fm within Media Center. Mcefm.com now redirects to this page. Do check out BeebMC which lets you listen to BBC radio within Media Center. This entry was posted in Media Center on April 17, 2010 by damian. 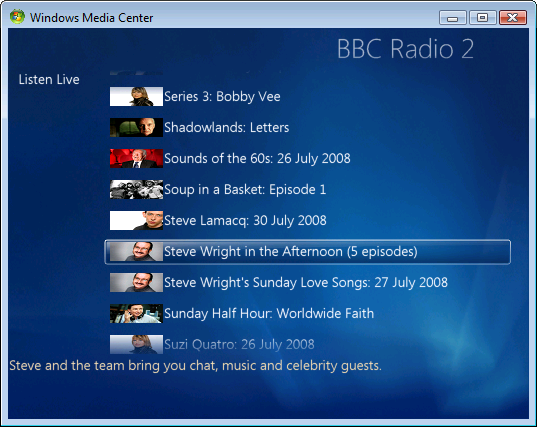 In BeebMC when you select a channel, you are presented with the list of programs available to "Listen Again". You can scroll up and down the list using a remote control, or by positioning your mouse just before the first item, or just after the last item. Eventually I discovered the problem. When you click the Up button, the scroll area loses focus, and so it seems to lose track of where it was in the list. I’m not sure why it works for the Down button. 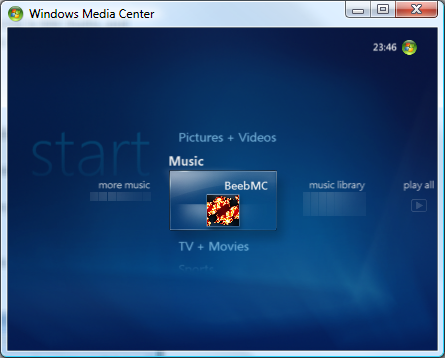 Now it works and I am close to releasing version 2.1 of BeebMC, which should work with the Media Center TV Pack too. This entry was posted in Media Center on August 29, 2008 by damian. If/when the BBC update their web site or RSS feeds then BeebMC will probably break — leave a comment and I’ll do what I can to fix it. Many thanks to the BBC for making all this content available. This entry was posted in BeebMC, Media Center on July 31, 2008 by damian. 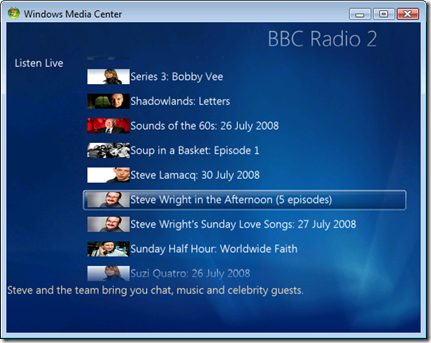 I’ve had some demand for the source for my simple application that plays BBC Radio inside Media Center. I thought it might be more valuable if I put together a screencast introducing how I created the application from scratch, although the source is below too. 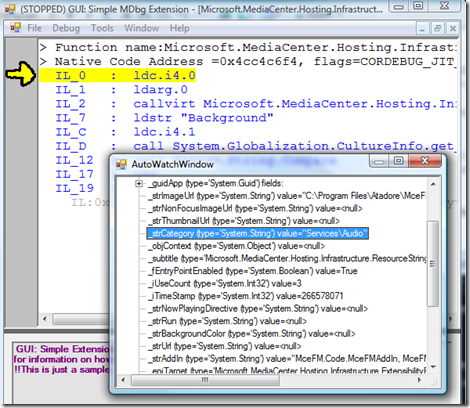 I assume your are familiar with .NET and C#, and have perhaps browsed through the Media Center documentation a little. 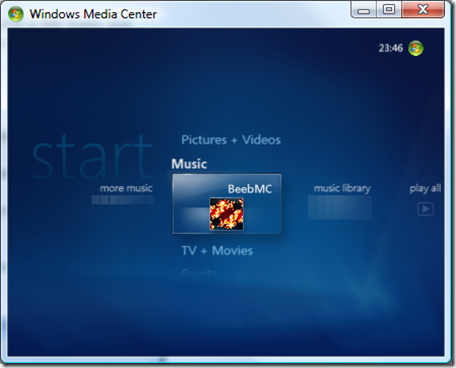 If you are an experienced Media Center developer then move along, move along, there is nothing here to see. The final project is here. 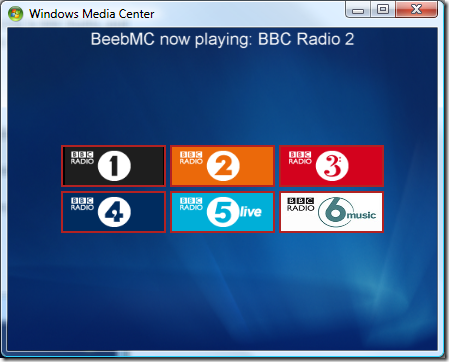 It isn’t quite the same as the BeebMC application (it doesn’t load the channels from an XML file, and has no error checking), but feel free to play around with it. I recorded them in one go quite late on a Saturday night, and I stumbled a couple of times with the terminology – please forgive the occasional mistake. Hope this is useful! Do let me know. This entry was posted in Media Center on July 12, 2008 by damian. 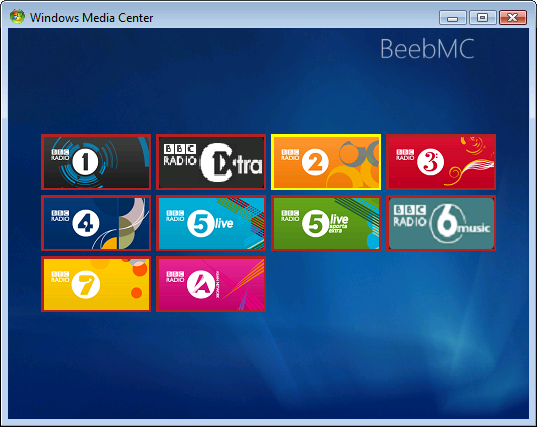 I’ve developed a small BBC Radio Media Center addin mainly for my own use, which I’m making available here for free for anyone else that wants it. You need version 3.5 of the .NET framework installed. It is available here if you don’t have it (or if you are not sure). 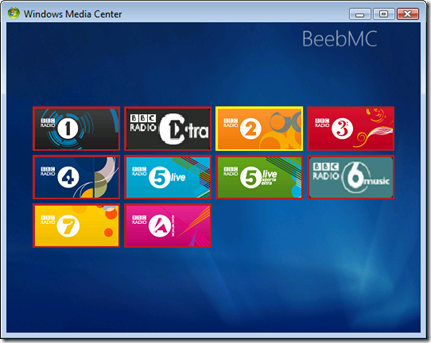 It will not work with Extenders, since the BBC streams using Real Audio. I can’t promise a lot of support, but reply here if you have problems using it and I’ll help if I can. 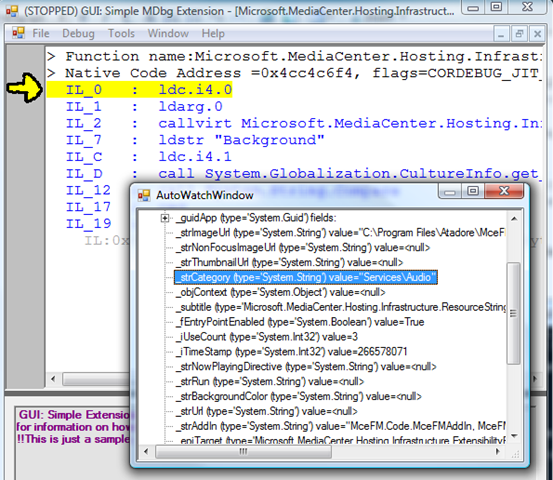 You can customize it by editing the Channels.xml file you will find under C:\ProgramData\Atadore\BeebMC. 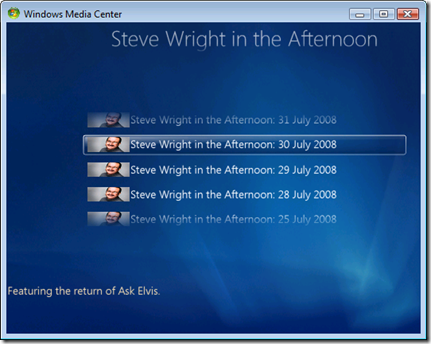 Add channels by adding a Channel element with the appropriate description, picture and URL for playing the channel. This entry was posted in BeebMC, Media Center on July 8, 2008 by damian.